In his current role and in conjunction with Sales and Marketing Leadership, Martin reports directly to the GM/VP of North America as a part of the Medtronic Surgical Innovations (SI) leadership team. He is tasked with development and management of the U.S. Commercial Playbook to ensure alignment of strategy and execution of commercial priorities of a $2B business. Martin also manages operational efficiency initiatives, leads the annual national sales meetings, philanthropic programs, and commercial communications to drive the engagement, connectivity and effectiveness of the U.S. SI Commercial Sales & Marketing Organization. Martin adds to his CV over 15 years of experience in biomedical research, veterinary medicine, medical device sales, and corporate sales operations digital tool development/implementation. 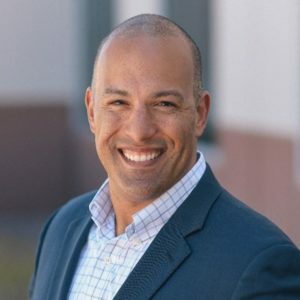 He is an acting founder of the Medtronic African Descent Network of Colorado employee resource group that engages employees for networking, career growth, and team efforts to support health and well- being of the underserved African American & minority populations of Colorado. In Martin’s free time, he enjoys life with his wife, Erika, and their two teenage boys (Jackson & Benjamin) in Erie, CO. He spends his free time Mountain or Gravel bicycling, camping and other outdoor activities or painting abstract.